Lilly has surrounded herself with piercing shops and tattoo studios all her life, and for this reason she has developed an unbreakable love for all things rock & roll (with piercings especially close to her heart).Not only this, but Lilly is also an accomplished editor and author, having written dozens of in-depth and interesting publications based around body art and modification over the last several years. 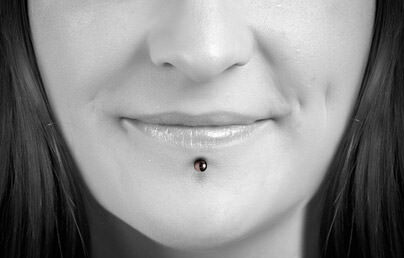 The labret piercing has become a hugely popular symbol of style for women and men alike over the past several years. However, when looking to get a new piercing (especially one that is so visible on the face), you'll want to be certain that you know as much as possible about what you're getting yourself into. This article sets out to explain everything you need to know about labret piercings, so sit back and get that bottom lip ready for some beautiful new bling. The medusa piercing (or philtrum) has seen massive increases in popularity in recent times for both men and women - and it's not surprising why. A well-executed philtrum piercing can look striking, especially when matched up with some bold and inventive jewelry. However - as awesome as they are, medusa piercings still need to be well respected during their healing stages, and you must ensure you know as much as possible about them before taking the dive. Taking good care helps to ensure that everything turns out as it should, and your piercing ends up looking as perfect as you initially imaged. ​This article has been written to explain as much as possible about everything you're going to need to know about these beautiful piercings. Many lips piercings have become hugely popular in recent years, but the one that seems to stand out more than all of them is the Monroe piercing - not least due to the reasoning behind the name; Marilyn Monroe herself. You may be wondering why the piercing is named after the beautiful and super-famous model and actress, but you shouldn't have to look at a picture of her face for long to figure out why. Thanks to Marilyn Monroe, this has become one of the most popular facial piercings of all-time across swathes of the world. You go into the shop, excited about a new cartilage piercing, and everything is great for a while. Then, when your healing period is close to the end, you notice that you have a big bump on the front or back of your ear. What’s the deal? 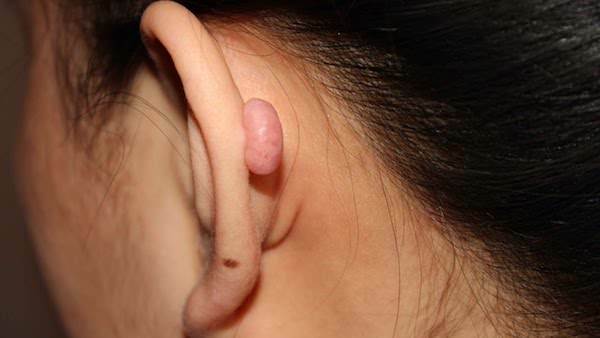 These cartilage piercing bumps are extremely common, but you can do something to reduce the size of the bump. After all, you chose to get your piercing so it could look good, and a large knot on the back of your ear probably isn’t what you were going for. Not to mention they make it difficult to put in and remove an earring. The best thing to do is keep your hands off the bump, don’t try to squeeze it, and read this guide. The daith piercing, which is a perforation in the innermost cartilage fold in the ear, has become hugely popular in the last several years. Although it looks simple enough, the daith is one of the most intricate body piercings you can go for, as it typically requires a specially designed, curved needle in order to create the precise perforation required. Difficulties aside; if done right, this piercing can truly stand out from the others, and is sure to be a real eye-catcher. Cartilage piercings have been a popular piercing for a long time, and they give the option to customize your look depending on how many cartilage piercings you get and where you place them. They can be symmetrical with the same number on each ear, or you could just get a cartilage piercing (or piercings) on one ear. But if you’re getting your first cartilage piercing, it’s natural to wonder how much they hurt - and we reveal all. 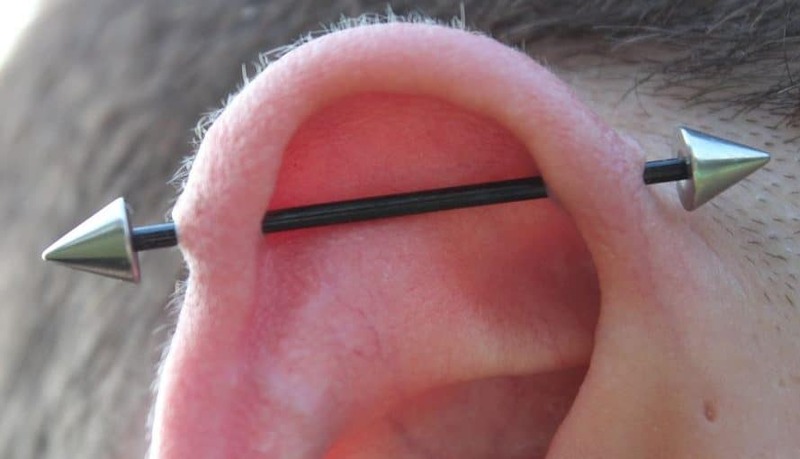 How Much Does An Industrial Piercing Cost? Industrial Piercing Prices - How Much Does An Industrial Piercing Cost? Industrial piercings are getting more popular every year. They are a bold, strong statement and can be a striking addition to your collection of piercings. However, it is sometimes hard to judge how much one would cost, mainly because they are not as simple as other ear piercings, and the fact that they require two holes to be pierced instead of one can confuse people who are looking for an average price. There are many ways to break down the cost of an industrial piercing. In this article, we will try to explain what goes into the costings of industrial piercings, and the difference between the cheap jobs offered by local, inexperienced friends, and the high-priced experienced professionals. 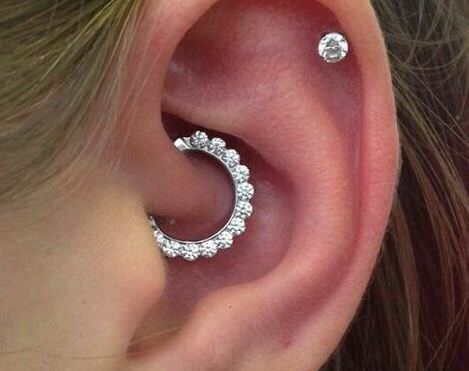 Daith Piercing Prices - How Much Does A Daith Piercing Cost? Although many people are excited to get a daith piercing, they are sometimes unsure as to how much the piercing is actually going to cost, especially if it's their first piercing. While we can easily tell you that your piercing might cost “X” amount, it's essential that you understand what you are buying, and what your money is going towards. 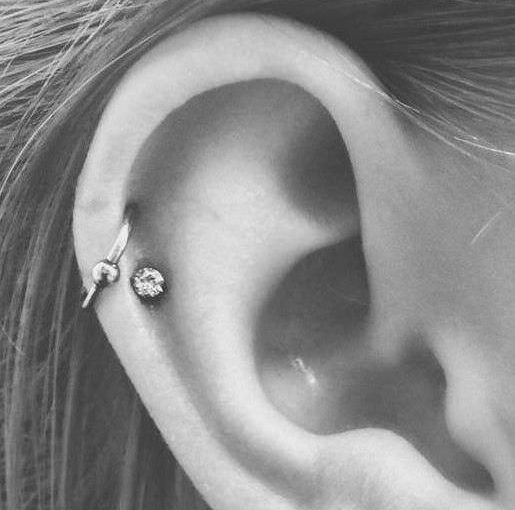 From here, you can then decide if getting a $5 daith piercing from your inexperienced best friend is worth it over going to a much safer and experienced piercing professional. Daith Piercing Pain – How Much Do They Hurt? Daith Piercing Pain - How Much Does a Daith Piercing Hurt? 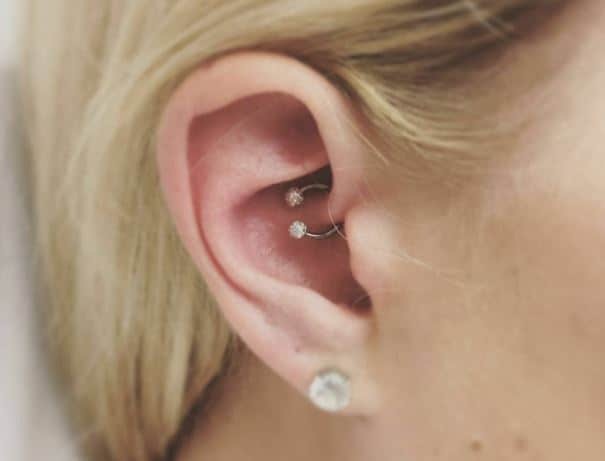 The daith piercing has become increasingly popular in the last several years, not only because of its subtle fashion statement, but also due to the fact that it's said that daith piercings can help relieve the pain from migraines and headaches, although this has not yet been scientifically proven. However, while many people wish to get one of these striking ear piercings, plenty are worried about the discomfort when going through the daith piercing procedure, especially because of its awkward positioning in the sensitive, inner ear cartilage. Although we are not going to sugar coat it and say that it won’t hurt (it probably will! ), there are several ways of easing through the pain during the procedure, using both physical and mental techniques. Cartilage Piercing Prices - How Much Does A Cartilage Piercing Cost? Okay, you’ve gotten over your nerves, selected the part of your ear you want to pierce, and even chosen the location to have the piercing done. You’re ready for a cartilage piercing. Just one more thing though. How much money are you going to need?